Home » Blog » Wonder WHY your tub, shower or sink looks dirty & dull? Wonder WHY your tub looks dirty & dull? 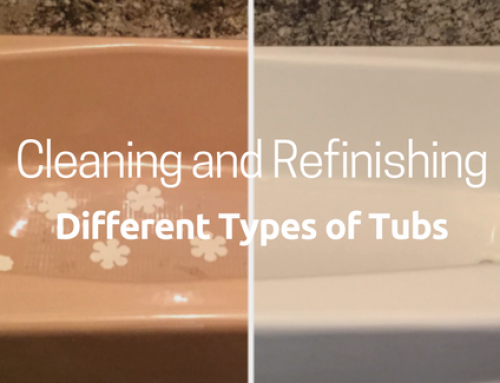 – What do type of cleaner do you use on your tub? 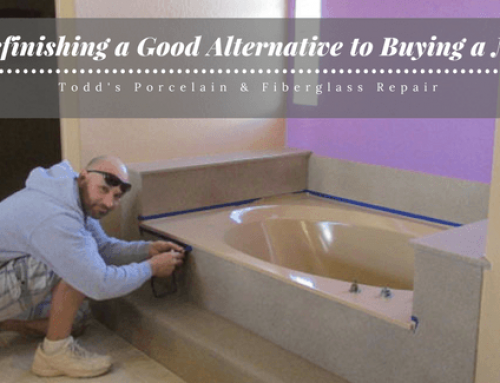 – Do you leave a bathmat inside the tub all the time? – Do you dye your hair in the tub? 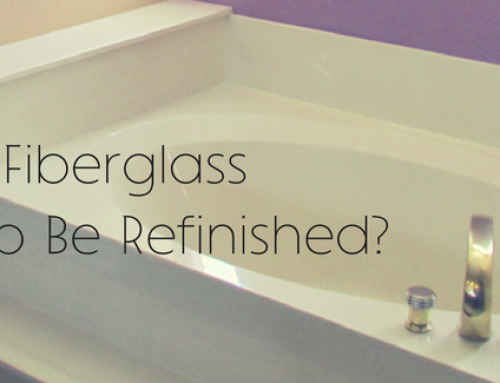 Are you wondering how to CARE for your refinish or repair to keep it looking new and clean? 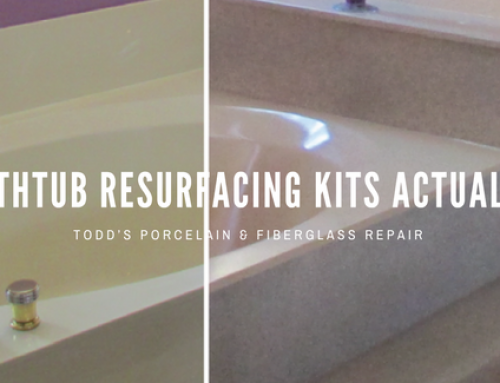 With over 36 years repairing and refinishing tubs, showers and sinks throughout Maricopa County, Todd’s Porcelain & Fiberglass Repair has the answers for you! NEVER use abrasive cleaners such as Ajax or Comet. Even Soft Scrub is mildly abrasive. Bar Keepers Friend may be used occasionally. Bar Keepers Friend can be purchased in a liquid or powder at Wal-mart, Target, Home Depot, BBB and some supermarkets. CLEAN tub, shower or sink AFTER EACH USE with a non-abrasive & rinse it thoroughly to eliminate soap haze buildup. Even though the surface may not look dirty, it should be cleaned at least once a month with a mild liquid soap. DO NOT use conventional suction cup bathmats or “stick on flowers or stripes.” These will damage porcelain, fiberglass, acrylic and cultured marble surfaces. 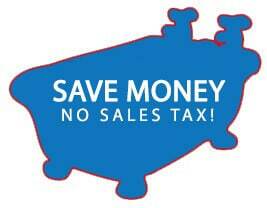 Todd’s offers Safe Soap for $10 and a non-slip imported bathmat for $30. Both are safe for refinished and/or repaired tubs. The Safe Soap is concentrated, so you can dilute it with water and use it daily. The mat is clear color and fits a standard tub or shower. Click to view both on our website. 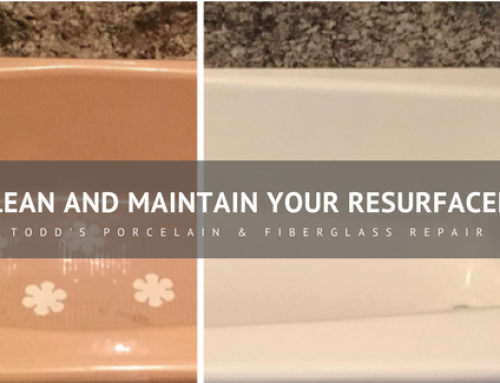 Call Todd’s Porcelain & Fiberglass Repair today at 480 835 7070 to order your refinish or repair both and have the Technician deliver Safe Soap or Bathmat on the day of your refinish or repair!